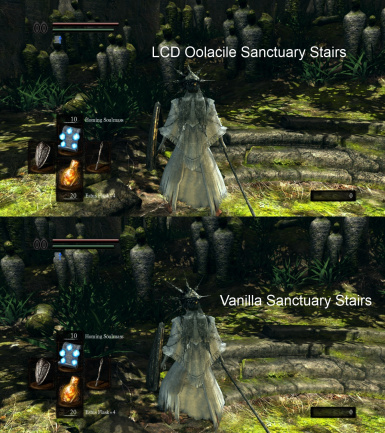 LCD is an ongoing project that remakes the worst of the vanilla textures in HD. 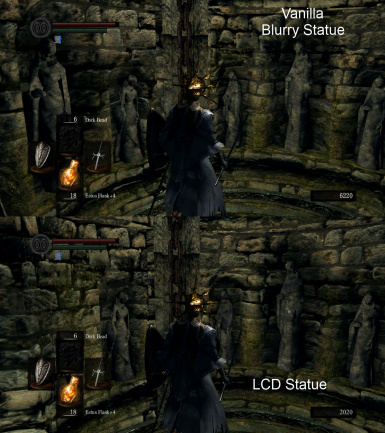 Designed to be completely immersive and lore-friendly, without breaking the style of Dark Souls. Ask me before using these textures. I'll probably agree to let anyone modify them if they ask. 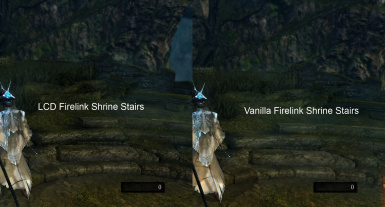 Most of the textures in Dark Souls are great. The texture art is impressive, and most of the time the style is perfect. However, there's always room for improvement. I played Dark Souls on my PS3, and I signed the petition to bring it to the PC. 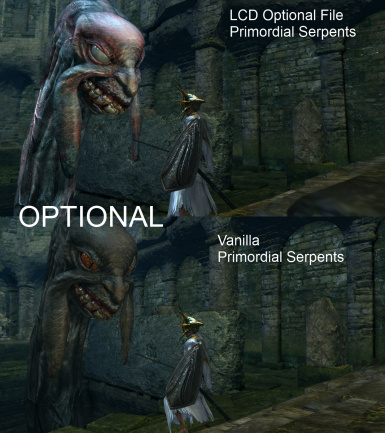 I don't blame FromSoft for the lazy port, because it's everything I wanted and more. We had no right to expect a port given the circumstances, let alone a good one. I commend From for such outstanding community service. That said, some of the console textures need cleaning, and this is my attempt to improve a game that I love. Like this? 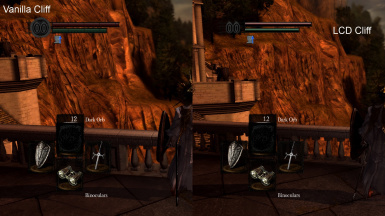 Check out other recommended texture mods and fixes for Dark Souls. Aegrus HD Grass and Stuff http://darksouls.nexusmods.com/mods/500/? 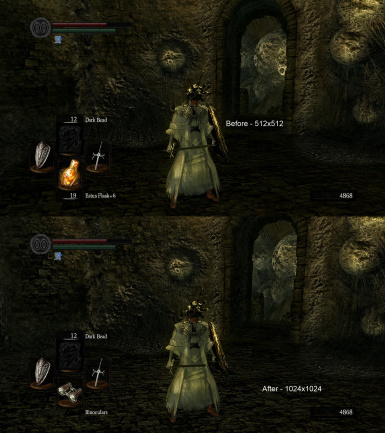 Tree LowRes Texture Fix http://darksouls.nexusmods.com/mods/67/? Update: I've now released version 1.4. I've added NMM compatibility, and removed the Lite option since there's no longer a need for it. One texture that was causing performance problems in 1.3 has been removed, but if you still want it, it's available at the address below. I could not, in good conscience, leave that texture in this mod because it was quite hard to run for most people. To install these HD textures, take them out of my folder and place them inside your DSfix\tex_override folder. 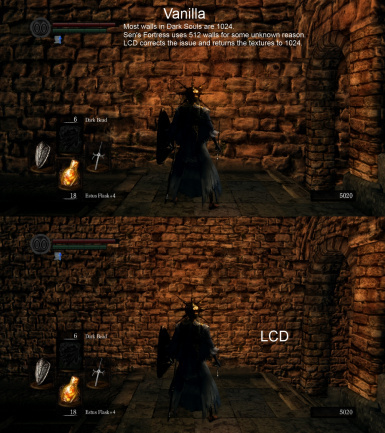 LCD wasn't hard to make, but it improves the lowest resolution textures significantly. This is still an ongoing project, and I'll add more textures as I find them. For now, it's a good release candidate. The worst parts of the game have been fixed, with little or no fps loss. I value the style and smooth gameplay of Dark Souls above all else, and I will attempt to avoid compromising either of those things.